That is, they will be if the writers follow 'Flash' comics canon. When The CW’s The Flash began, casting Iris West as Barry Allen’s pseudo-sister felt weird for Flash comics fans. After all, Iris is, canonically, the love of Barry Allen’s life. She’s his wife and partner across several timelines and the reason for half of the feats he accomplishes. Now, The Flash is three seasons deep, and support for “WestAllen” (the “ship” name for Barry and Iris) has only grown among the show’s fans. Earnest, noble Barry is incredibly popular with the ladies on The Flash. Most of the popular “ships” among fans have been made canon at one point or another, and even those that aren’t get their time in the spotlight. Linda Parker, Patty Spivot, and Caitlin Snow are all big time possibilities for Barry’s romantic end-game, but the writers seem to have a firm grasp on comics canon: Iris has been Barry’s ultimate partner since the beginning. In DC comics, Barry Allen moves to Central City after graduating college and almost immediately starts dating a reporter, Iris West. The same day he meets Iris, Barry is struck by lightning (kind of) and is given the Speed Force. The next day, Barry saves Iris from a stray bullet, and he’s forced to accept that there’s something wrong with him (i.e., that he’s gained superpowers). Eventually, after many adventures, Barry proposes to Iris on top of a Ferris wheel. It’s all very romantic and cute, but there’s one problem. Professor Zoom is also in love with Iris, and he wants revenge. On their wedding day, Zoom impersonates Barry and Barry (as Flash) barely stops Iris from accidentally marrying the wrong person. Iris and Barry’s story in the comics is just as convoluted and based in multiverse manipulation as The Flash, so fans can take solace in their favorite property inspiring confusion across decades. This is, of course, all within the world of the first run of The Flash comic. It ran from 1959 to 1985 and kicked off a world of trouble and convoluted plots for Barry for decades to come (um, Flashpoint, anyone?). 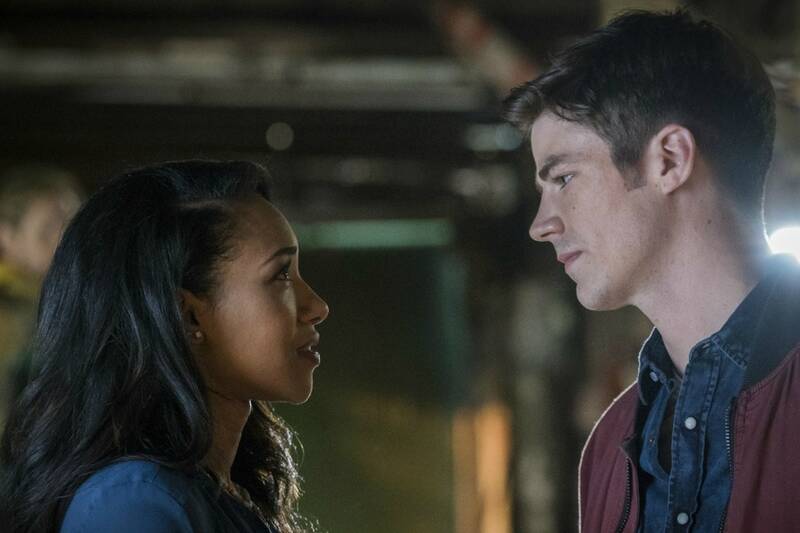 But the story has been pretty consistent since Barry first met Iris in 1959: They’re very much in love, and they’re very much (probably) going to end up together on The Flash.